The newest eye scanning technology is now available for your phone. Enjoy this eye scanner application that can be used as phone lockscreen. This application is just for fun so go ahead and trick your friends and make them smile. The actual eye or iris retina scanning technology is not yet available for your phone, so we will use a cycle pattern to let you unlock the phone. Read the instructions bellow for more details. - When the eye scanner screen lock is opened, press the "Scan" button and wait 3 beeps or scan cycles or until the info text color turns grey then lift the finger to unlock the phone. 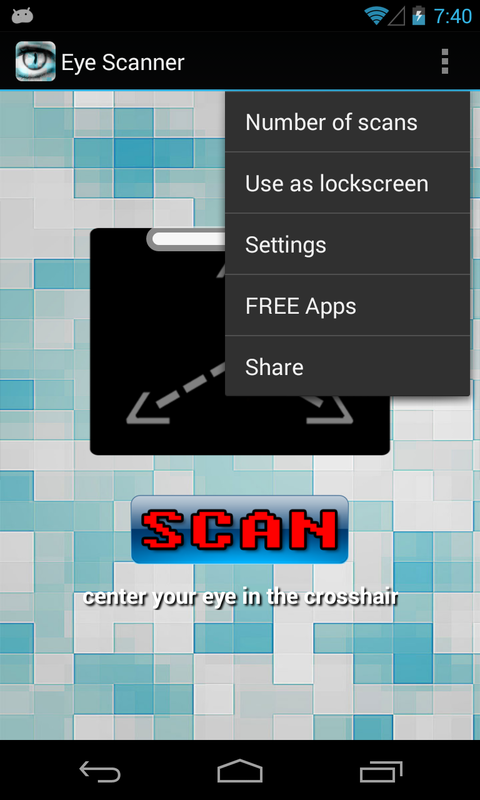 - The eye scanner screen lock can be used as a real lock screen for your phone! - The eye scanner screen lock uses the front or back camera to display your eye on the lockscreen for scanning. - The number of scan cycles is adjustable via the actions menu. - This eye scanner is a free application that offers a cool unique HD quality background with eye catching graphics. 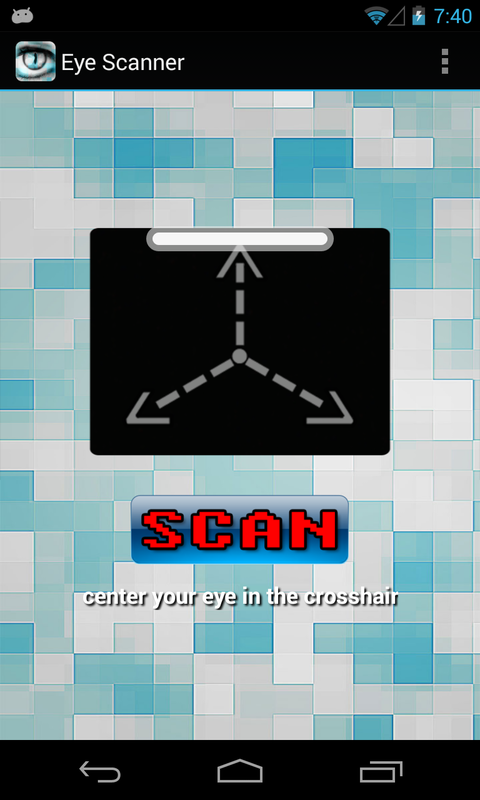 - Cool eye scanning animation. - Use the optional set as lockscreen feature from the actions menu. - The eye screen lock works with front camera by default and automatically switches to back camera for phones without a front camera. - You can set a custom number of sound beeps for unlock.